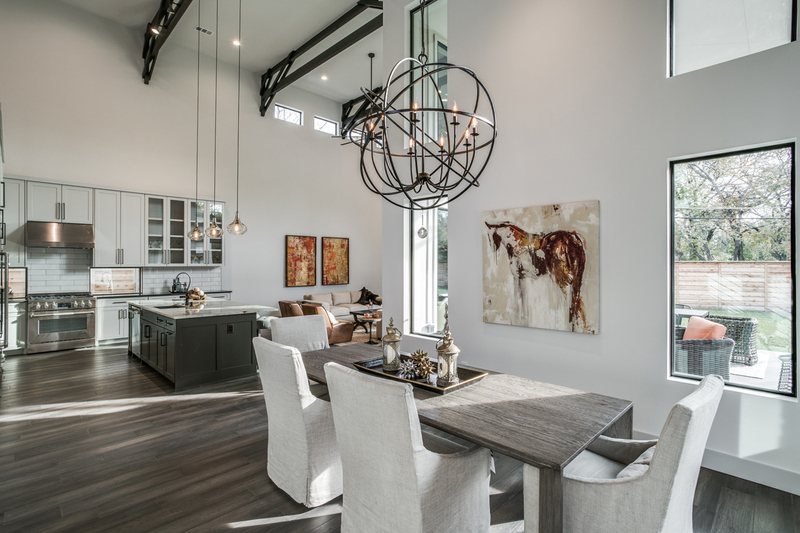 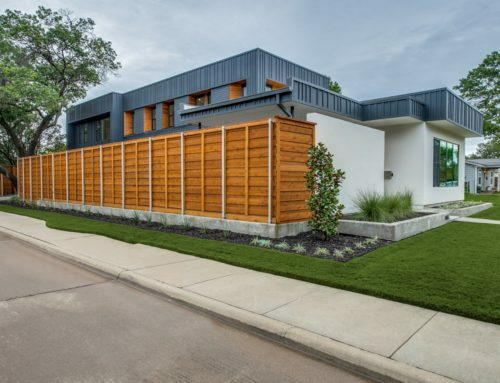 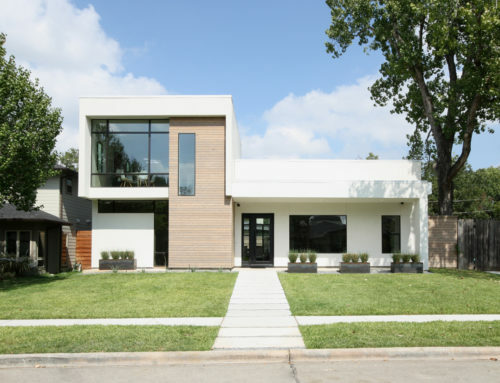 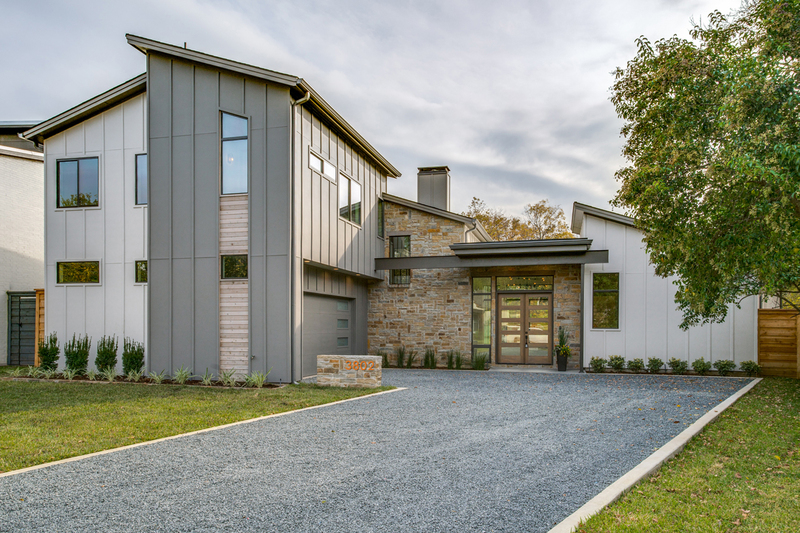 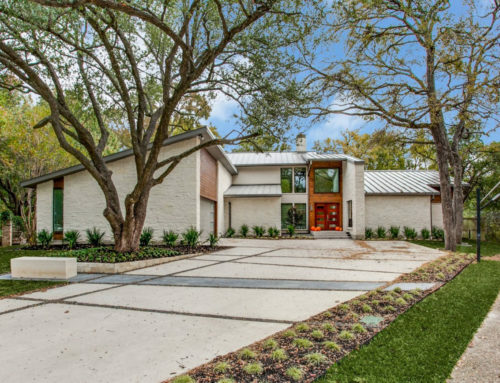 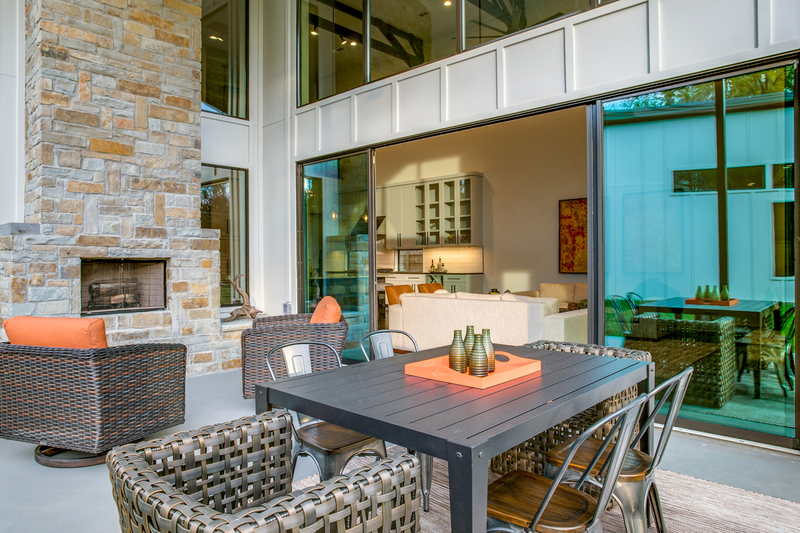 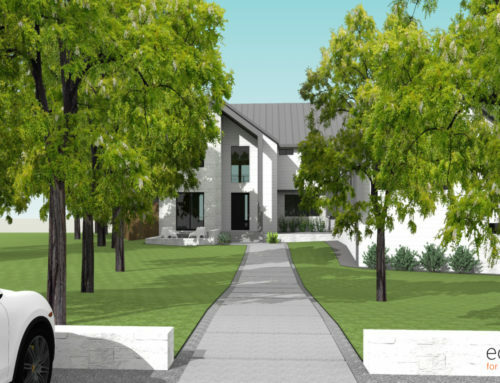 Modern Farmhouse 2 is a blend of transitional design and farmhouse architecture – the design was customized to take advantage of the expansive rear yard and offer several covered outdoor living and lounge spaces. 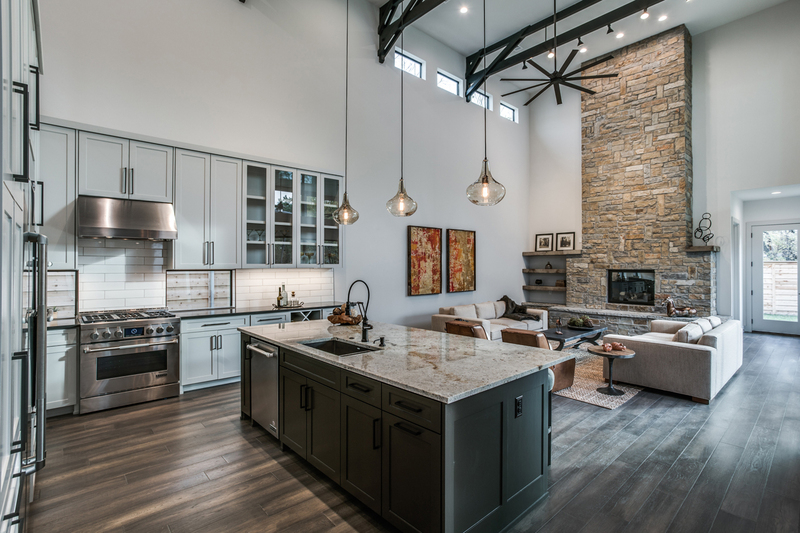 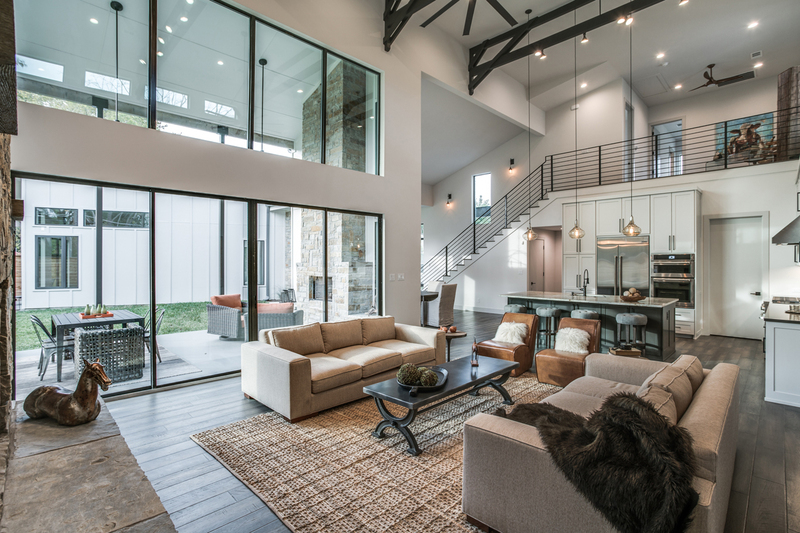 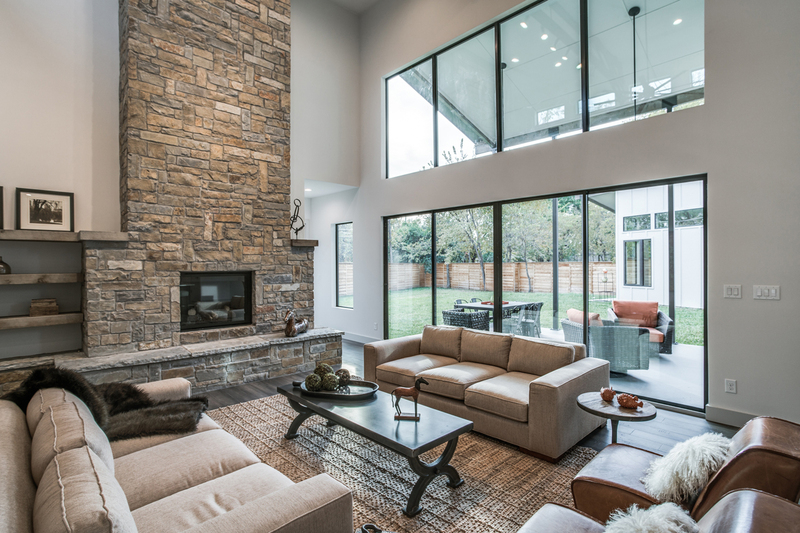 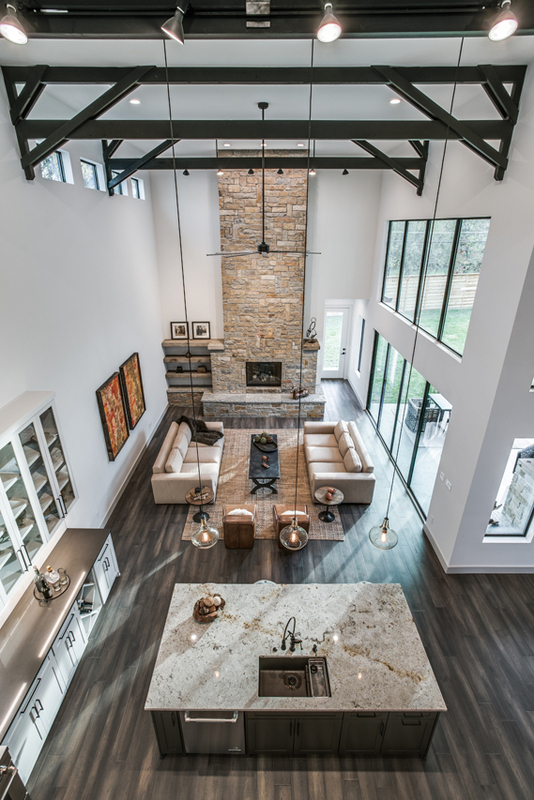 This 2,750 square foot, 2-story residence features an expansive kitchen and living room space joined together under 21′ high ceilings fitted-out with custom wood trusses, and has an open loft space that overlooks the kitchen and living room with a view of the custom stone fireplace beyond. 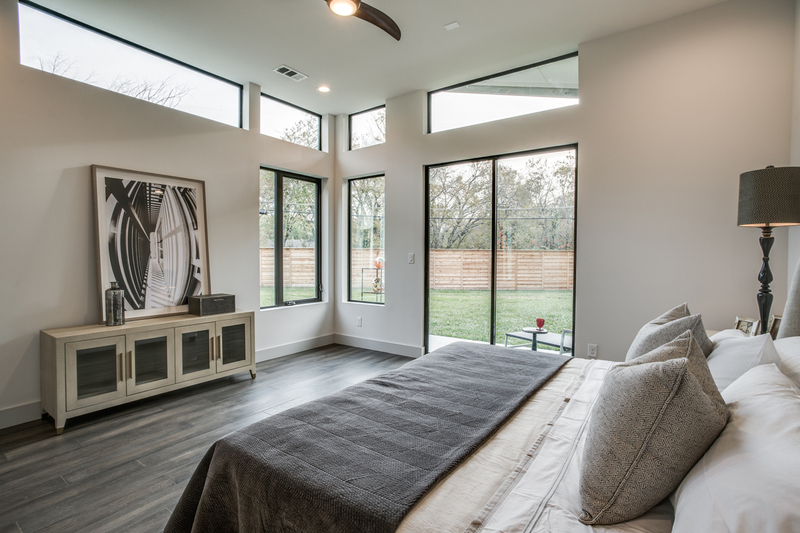 The second floor features an open lofted area and two bedrooms, and the ground floor master suite has its own wing for privacy. 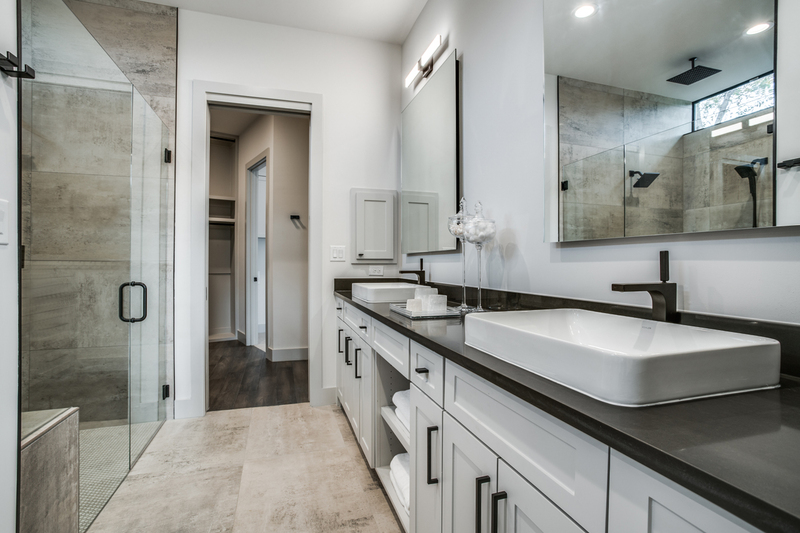 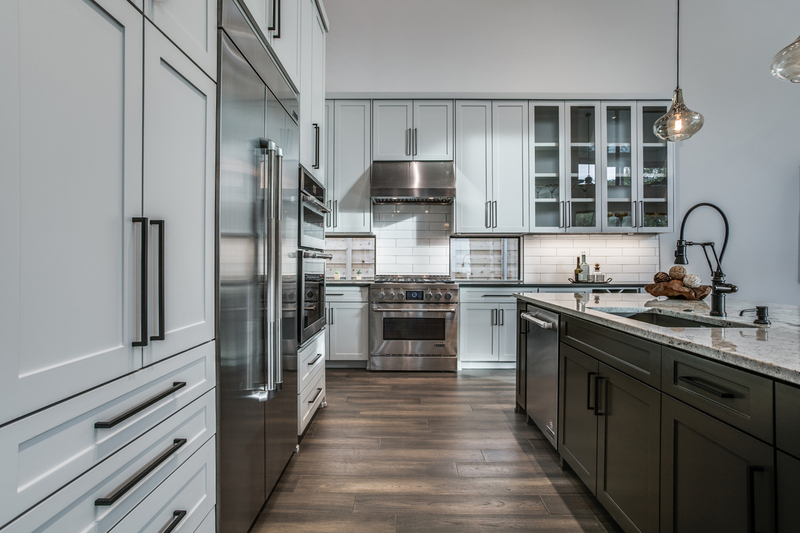 All imagery for Modern Farmhouse 2 courtesy of Shoot2Sell Real Estate Photography.